The SuperCat an improved version of the original great Polecat. It has a larger rudder and a bigger stab for more stability. It is much more stable through the turns and easier to land. The SC also has a 1.75” spinner to help the motors run better and allows more room in the engine compartment. The wing bolts are all predrilled and tapped for easy assembly. The wings on the SuperCat are cut out for the installation of a Tetra or a Jett round tank. It moves the tank to the top of the fuse, so that you can set your motor on “Kill” and it will not cough on a hard pull or go lean. It is best to make sure that it has a partial rib on both sides of the cutout so that you will not have a problem like I did on a PoleCat. All airplanes come with two piece wings and removable tail for ease of shipping and transport. The longest dimension of your shipping box is the length of the fuselage. It makes a big difference in the cost and convenience of transporting your airplanes to events. If you choose to have a one piece wing, no problem. Just brush a coat of slow cure epoxy on the tube and slide it together. Make sure that it is straight and then you can tape or glass a strip down the center to make you feel better. The two piece wings are strong. They have been extensively tested and no failures. Bruce has even used them on the 60" long and thin FAI wings... Not a problem. "Alert: If the center web and/or the vertical bulkhead in the front of the wing saddle of the fuse is, modified or removed, then you must put lots of epoxy and glass fiber "goop" under and around each of the front wing mounting blocks. A plywood gusset front and rear of the blocks attached to the fuse sides would be a good solution as well. To not do this,can and probably will cause the wing blocks to leave the fuse along with the wing. Not a good thing." In Stock now - Order today no waiting!! The Supercat co-designed by Bruce DeChastel and Dan Kane is the continuing development of the mid-wing Q40 racers. It has become the top contender in the fast lane. It has been taking top spots and fast times all over the country. Kit quality is great! 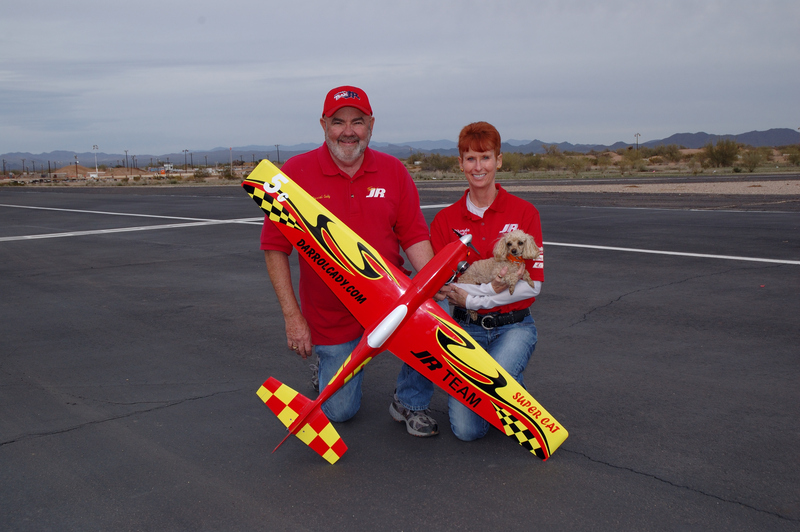 Bruce DeChastel is producing some of the best airplanes at any price. The design matches the quality. Order yours today and get in the winners circle. Supercat Q40 racer can be painted one color in the mold at the same price. Extra painting prices below.